Here's the second installment of my IFTD Favorites Series. 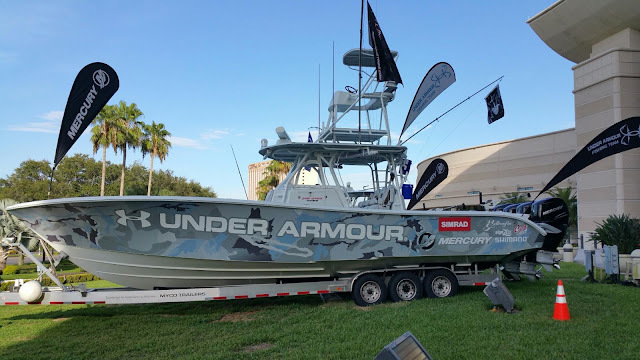 For this post I'm covering the boats from the show that I really enjoyed and would love the chance to paddle and fish from any one of them. I've lumped all of the "boats" together into one post, so this includes sit-in and sit-on kayaks, paddle boards and hybrids. 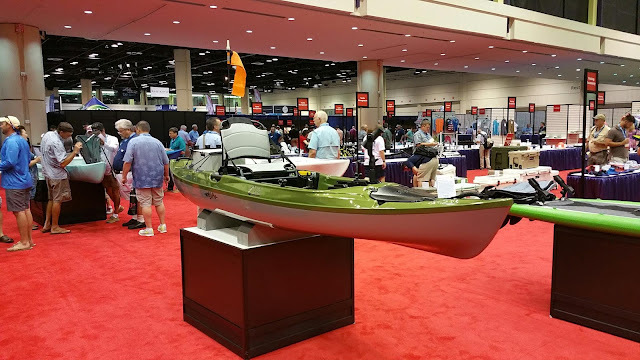 There was only one canoe at the show, so I included it here. 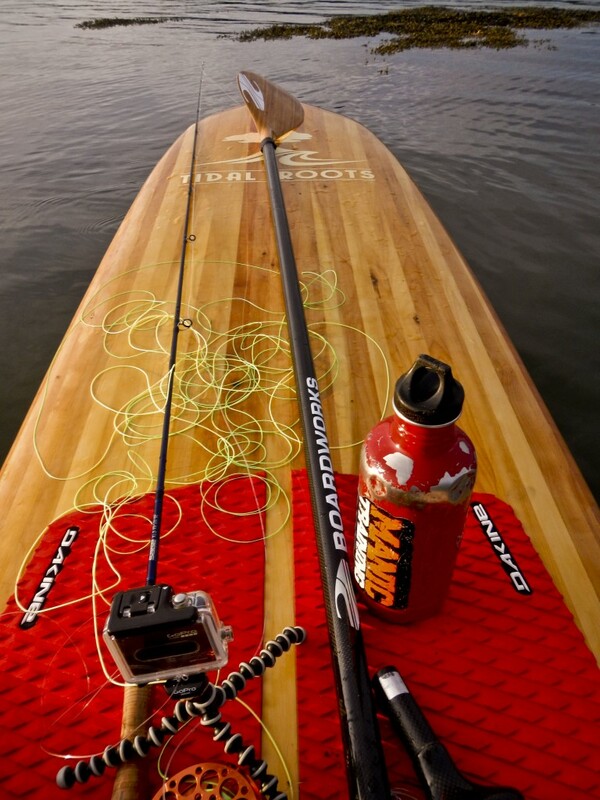 I wish there had been more, but kayaks and SUPs have really taken over. I like them all, and didn't even get to see all the presenters at the show, but here are my favorites from those I did see at the 2015 IFTD and ICAST Show! 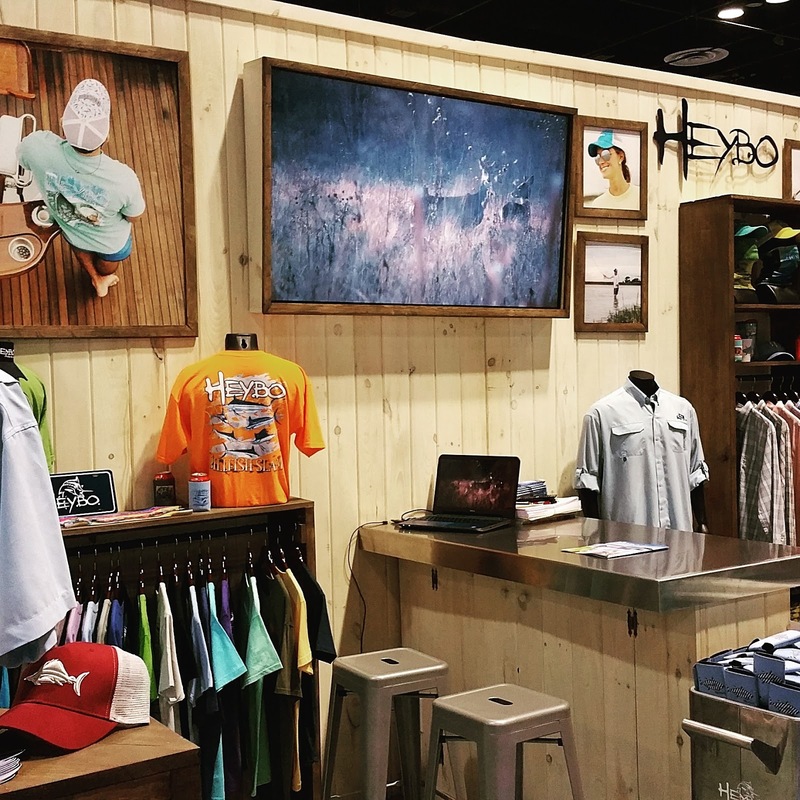 The founders of Diablo Paddlesports out of Texas wanted to create a boat that was perfectly tailored to the kind of water they fish. That meant having the stability to stand and fish while maintaining the security of sitting to paddle if the weather turns. What you're looking at here is a new project from Diablo it's actually two of their boats connected together with an electric motor between them! 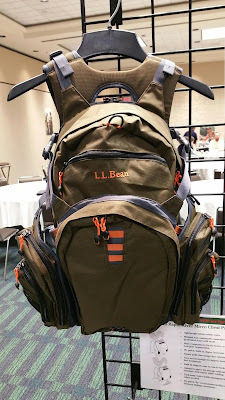 Very cool, but I'd rather have that camo number on the top of the rack. Awesome boats, big and comfortable with plenty of room for accessories and customizations. The kind folks at Pelican invited me to tour their booth and take a closer look at the new Catch 120 fishing kayak. 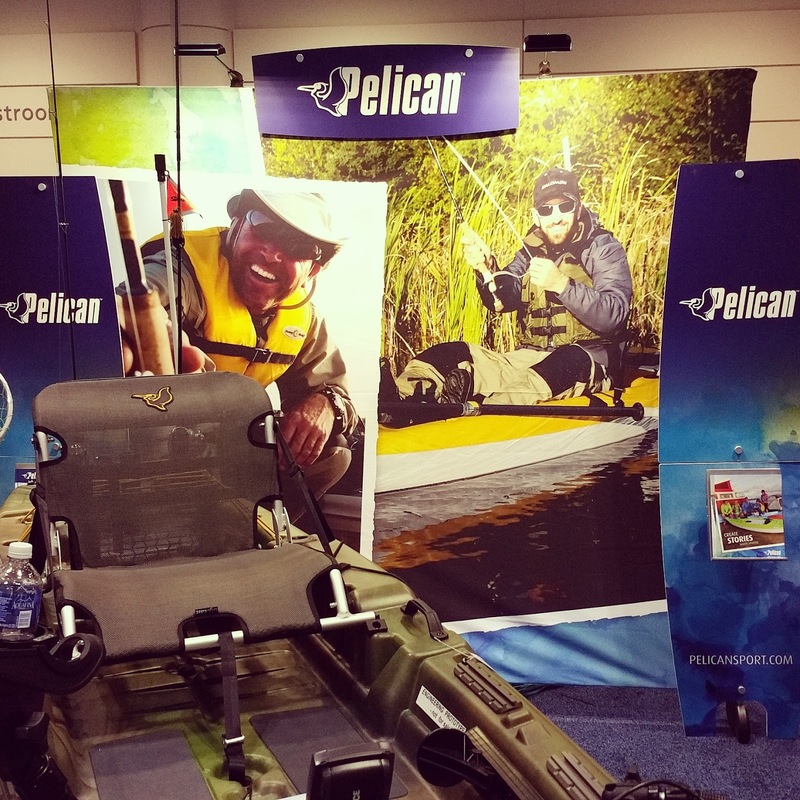 After 2 years of design the Catch 120 is Pelican's newest and highest performing fishing kayak. 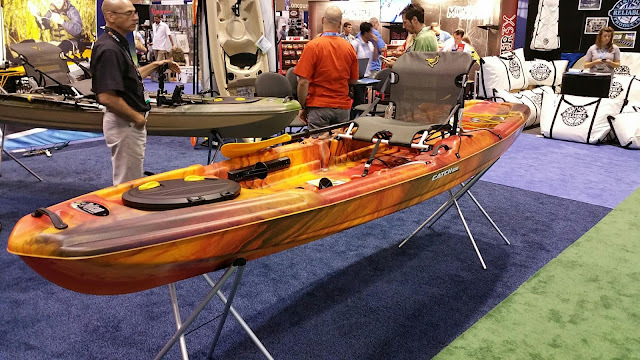 With tons of storage, accessory mounting points and made from tough Ram-X material, this kayak was designed specifically for fisherman, not adapted from another kayak. Available in both Olive and Lava color schemes, it looks like a great boat to spend a comfortable day on the water. 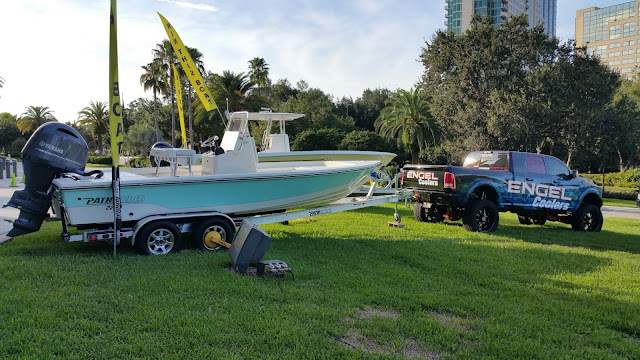 Definitely a capable vehicle to get you to and from your launch location. 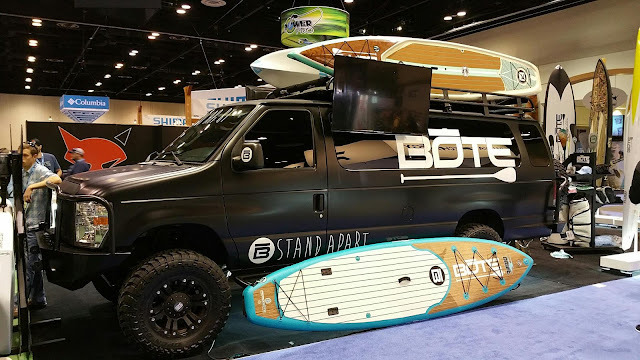 Bote was probably the first paddleboard company I'd ever heard of. This Bote Paddleboard is seriously rigged for a day on the water! I like the woodgrain pattern they put on some of their models. How about a Realtree Camo skin on your paddleboard? 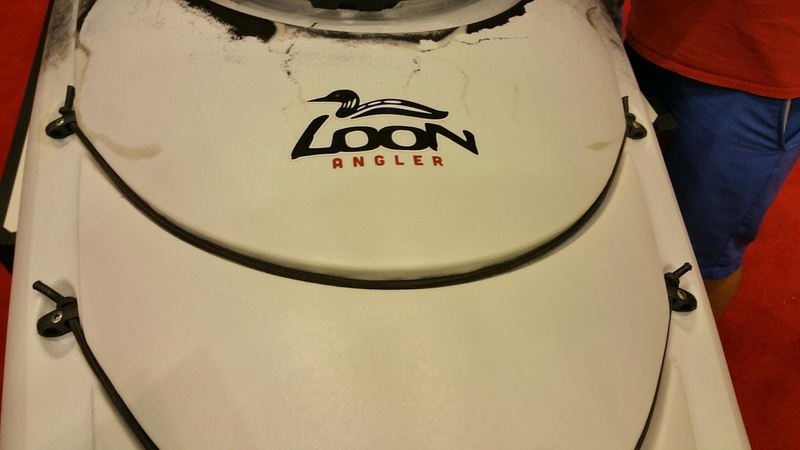 Old Town Canoe had their new Loon Angler kayak in the New Product Showcase this year. 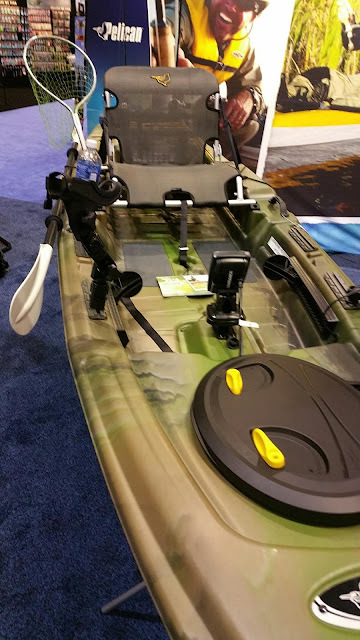 Lots of storage options like a removable workdeck with a USB charge port, adjustable ACS2 seat, built in thigh pads and flush mount rod holders make this a very capable sit-in fishing kayak. Available in 10'6" and 12'6" models, this would make a fantastic cooler weather fishing kayak. 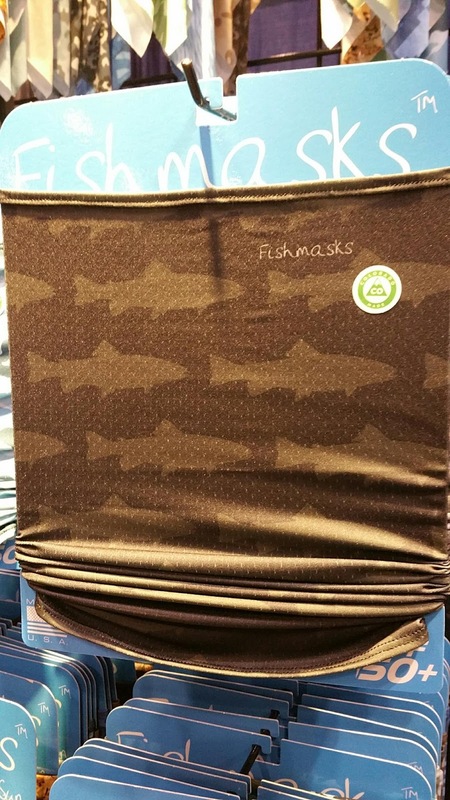 Perfect for when you want to stay a little dryer than you can with a sit on top. The Eddyline C-135 Stratofisher won Best Boat in the ICAST New Product Showcase. 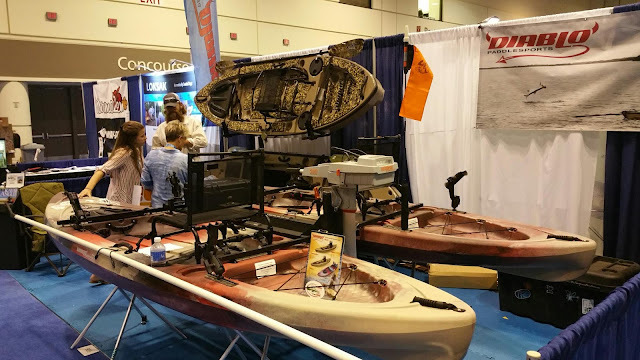 Available in two lengths and three colors the C-135 can be purchased as a bare platform ready to be customized to the angler's content, as the YakAttak version with select products from the kayak accessories company or even all the way up to including a casting bar, stakeout poles or electric trolling motors. 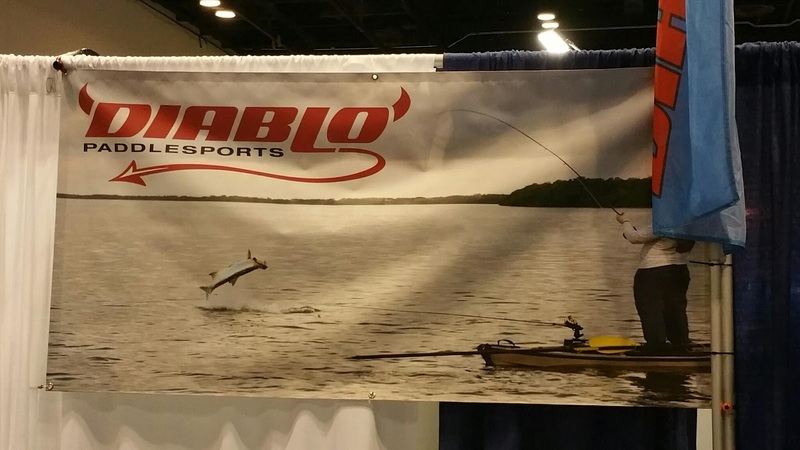 A very cool and capable fishing kayak to be sure! It's probably pretty obvious that I didn't take these pictures at ICAST. I didn't even take these pictures! 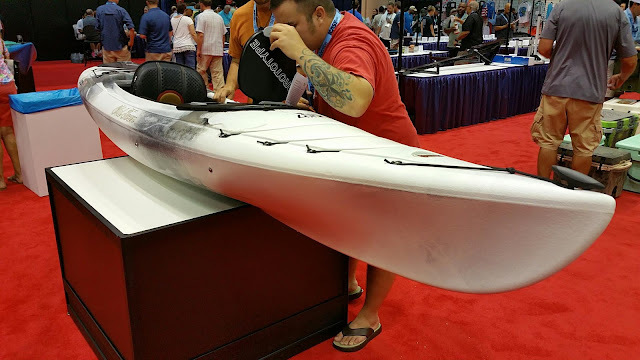 I saw a Tidal Roots paddle board at the Ram Mounts booth being used to demonstrate some of Ram's mounting brackets and I was so in awe that I forgot to take pictures! I had to get permission from the guys at Tidal Roots to borrow some of the pics off of their website. 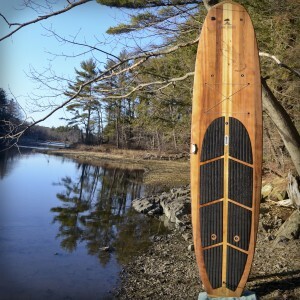 I mentioned earlier how much I like the woodgrain look on a paddle board. Well, these kick that up a notch, they are made entirely and sustainably of wood by craftsmen and artisans in Maine. 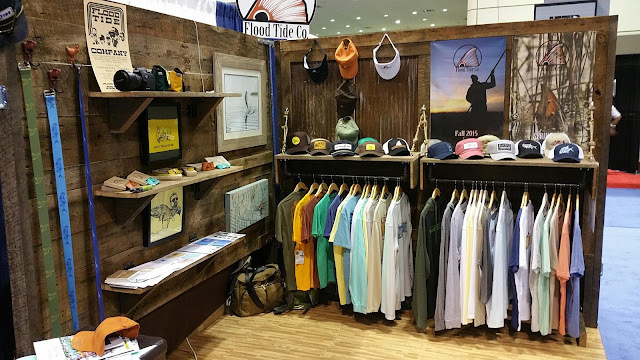 These two pictures of the standing boards are the same as the model on display at the show, the 11'6" Shoal. 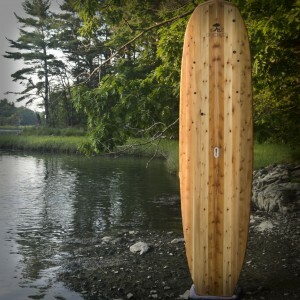 Tidal Roots offers three standard models plus a custom option to tailor your board to your intentions. There's also a list of optional accessories and you can even specify the pattern used in laying out the individual boards. 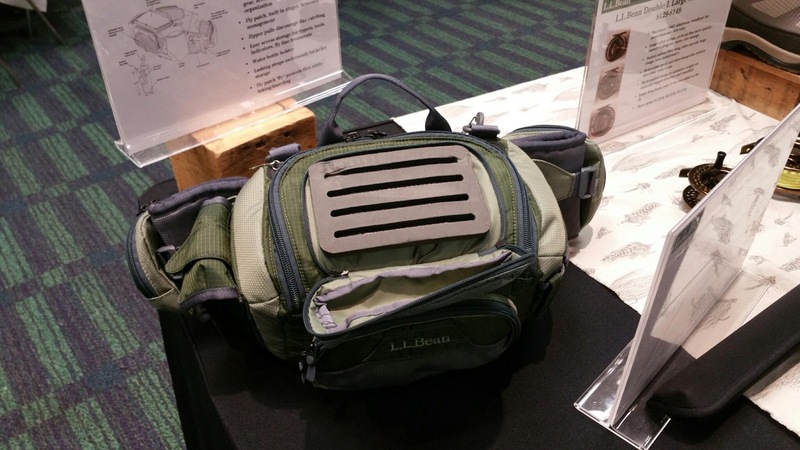 You can even purchase a kit, if you've got the nerve to try building one yourself! I copied this photo over just because it speaks to me (I also pinned it on my Pinterest board!). 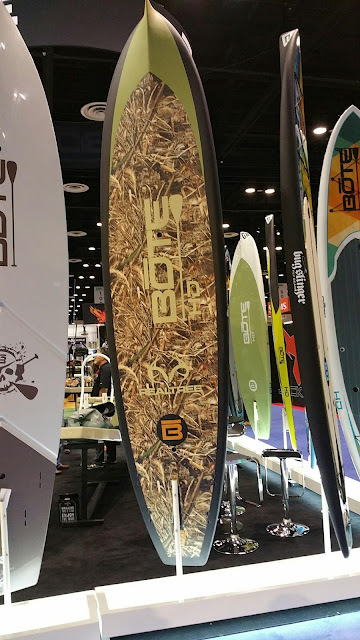 I've been wanting to try an SUP for a while and the warm tone of the wood, the sustainability of natural materials and the general feel of a wooden board really make Tidal Roots' boards stand out to me. 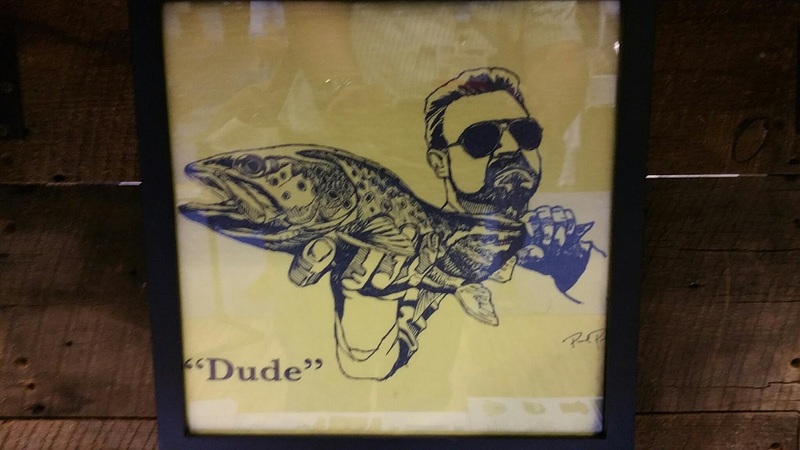 I'm so glad I noticed it at the show! 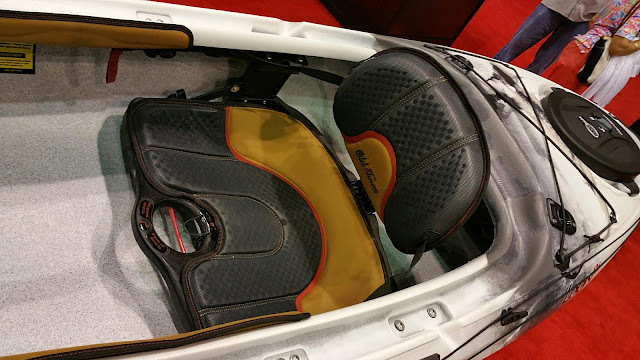 This was the only canoe I saw at the show. 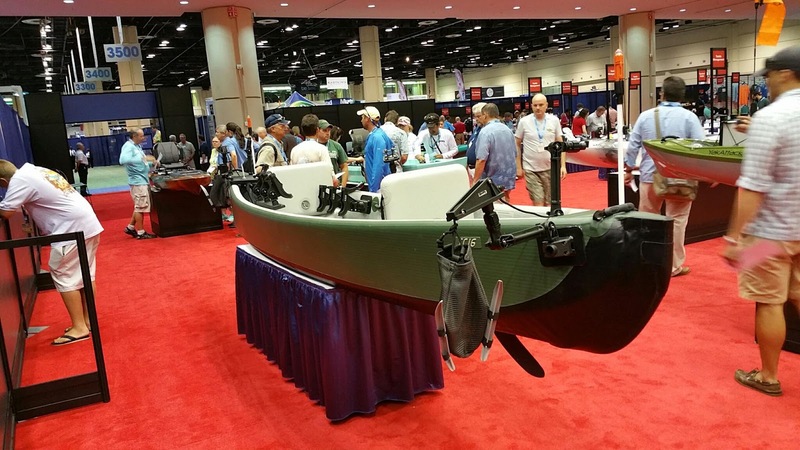 It's Sea Eagle Boats TC16 inflatable canoe. 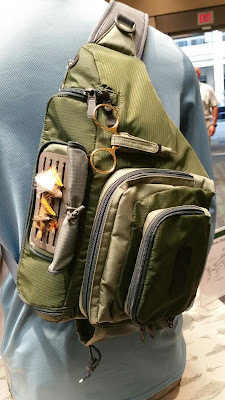 Shown here outfitted with a full compliment of Scotty accessories. 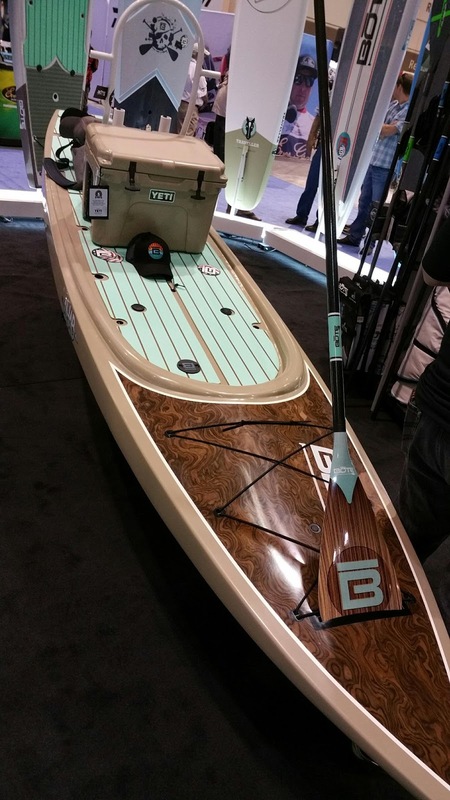 How cool would it be to throw a canoe in your car's trunk? 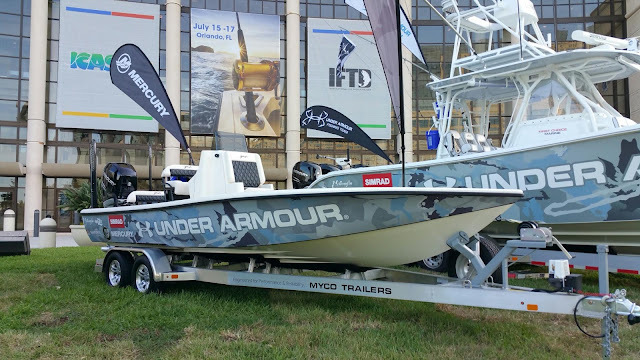 The following are the power boats the were on display in front of the Orange County Convention Center where the ICAST and IFTD Show was held. 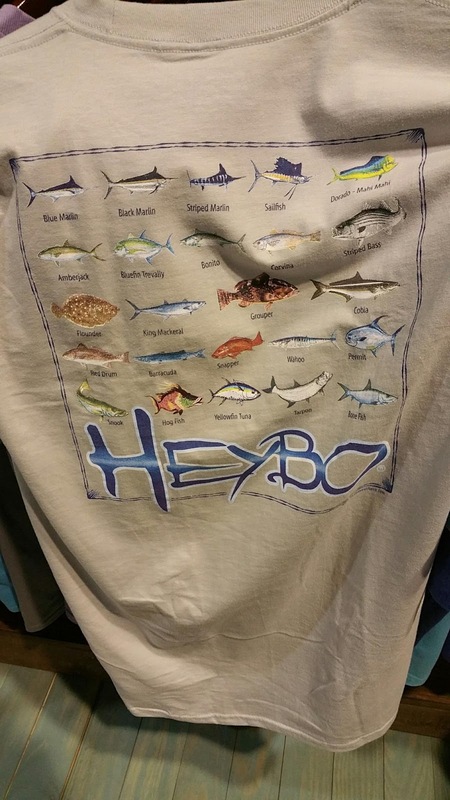 I just thought you'd like to see them. 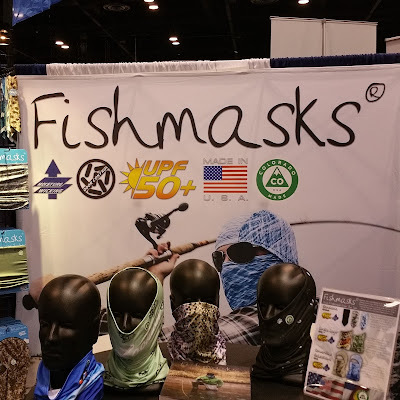 I'm going to try to do the IFTD posts a little differently this year. 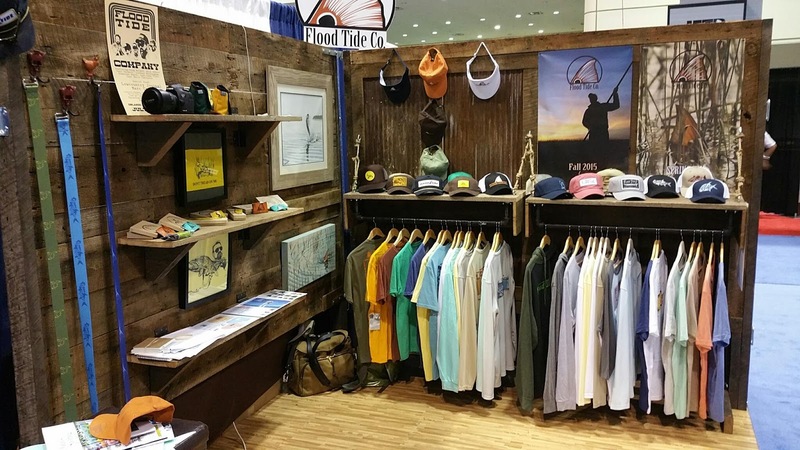 I'm going to break up the posts into product categories, such as Softgoods, Rods, Reels, Line and Accessories. 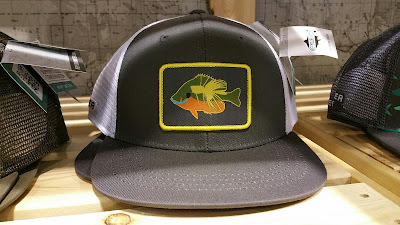 I'll start with this post and Softgoods, let's see how it goes! 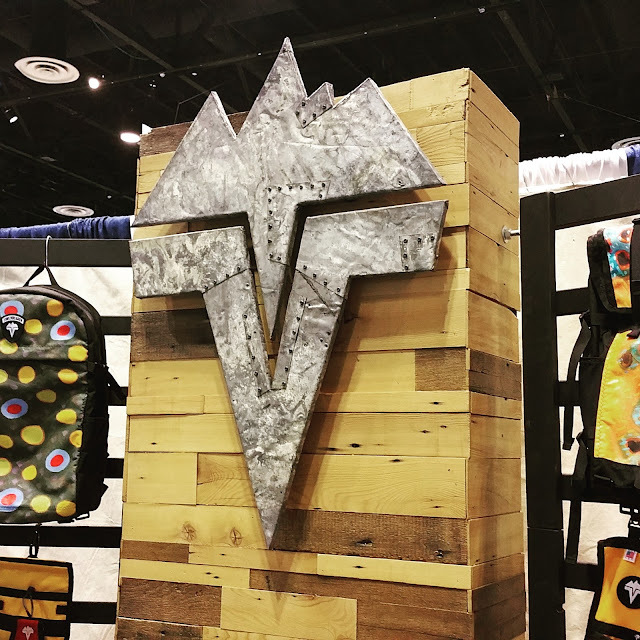 These are just some of my favorite products and companies as far as clothes and packs that were at IFTD this year. Orvis had some great looking jackets and waders on display, but, as usual, their booth was packed and this was the only photo I could get. 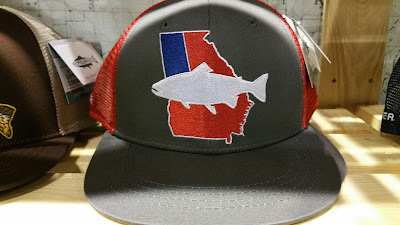 I do love this hat, though! I got to spend some time talking to Chris Hart about Vedavoo gear and, man, the passion in this company definitely radiates from it's employees! Getting some hands-on time with these fine products really piqued my interest. 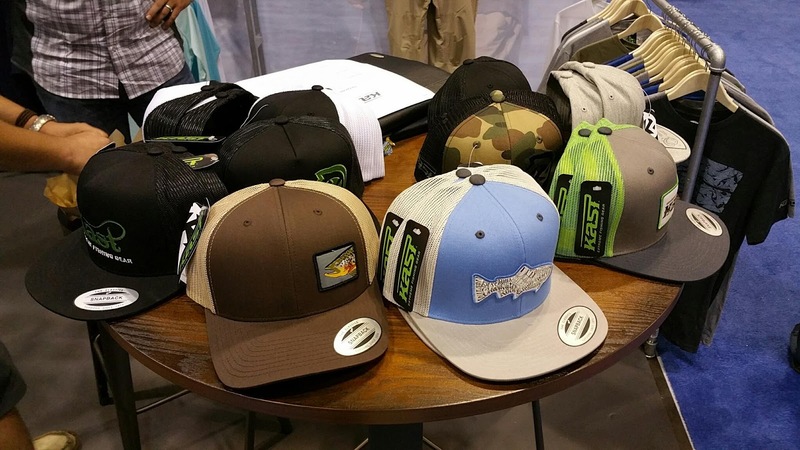 The thought that goes into every piece is very impressive. Kind of like if I were to make this stuff for myself, just with way better quality!! See the awl on the right side of the bench? 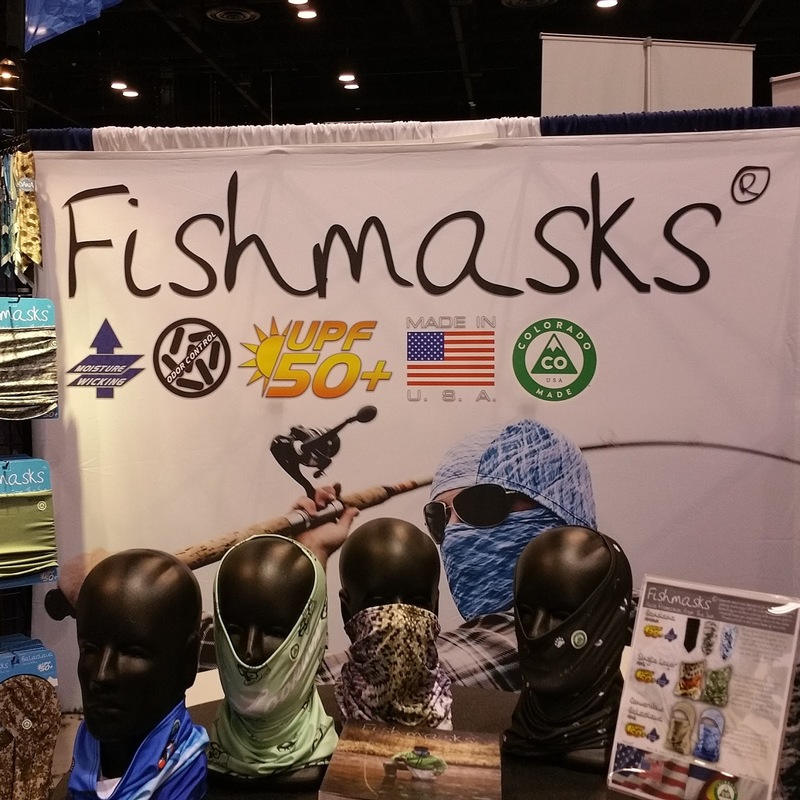 Chris put that through a piece of the canvas Vedavoo use for their gear. He then scratched at the fabric until the hole completely disappeared! Very impressive, and I think it would hold up well against rhododendron! 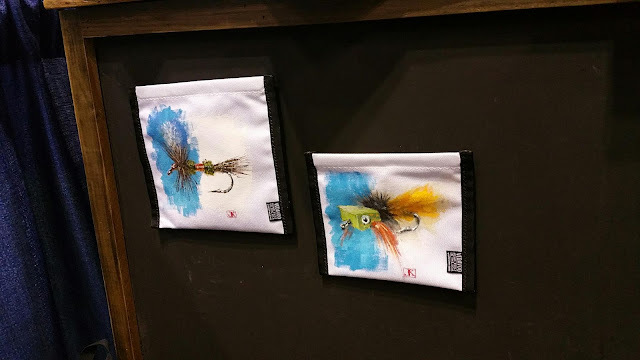 On display at this year's IFTD show, some of the packs had been hand painted by some of the most popular fishing artists around. 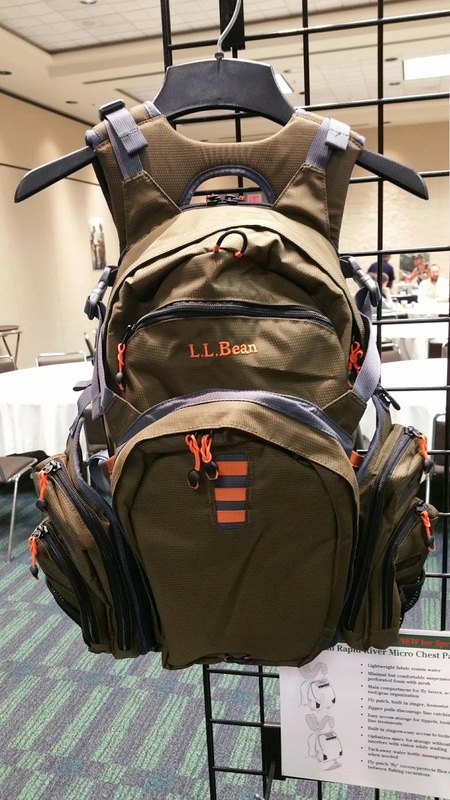 The packs are to be auctioned off later for charity! 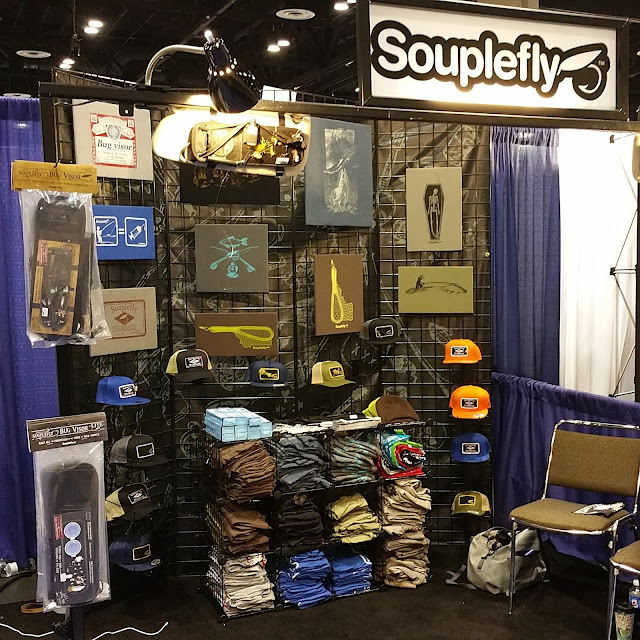 The Souplefly folks had some really cool products and T-shirt designs at the show. 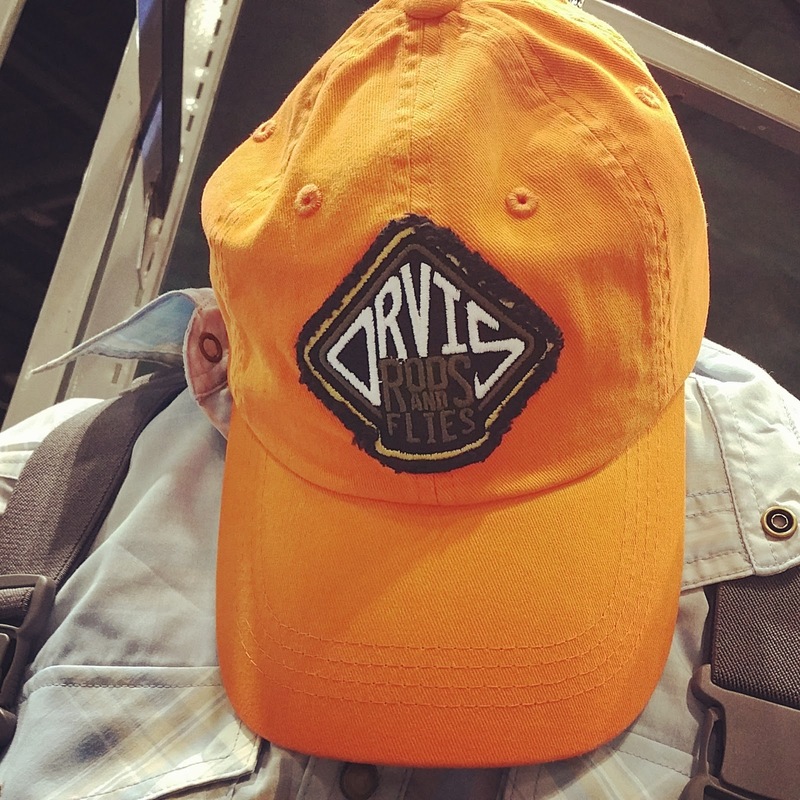 The Bug Visor and Bug Visor Lite organizers and the hats with fly patches were really good ideas! The origin story for the name is pretty cool, too (check it out, it's on the website). 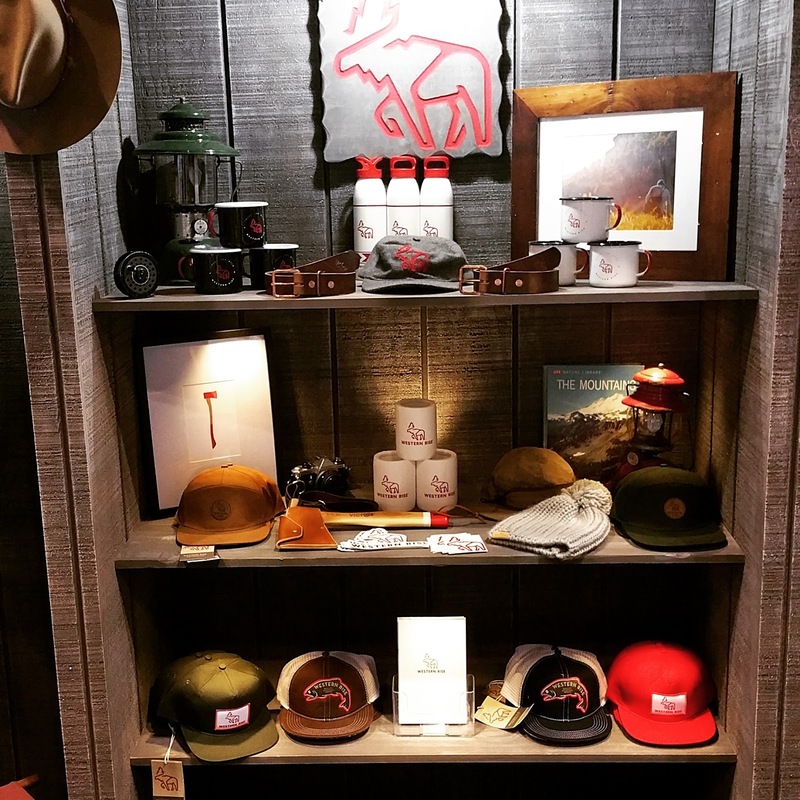 I was so glad to meet the folks behind Western Rise. 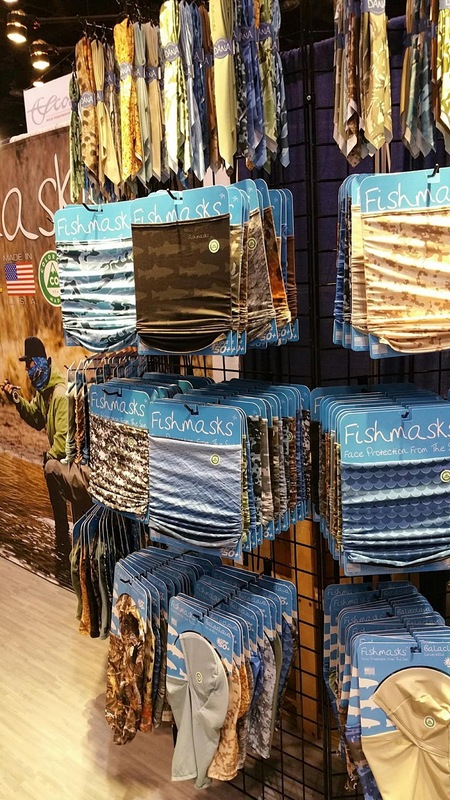 I've been following them on social media for a while and they post some of the most beautiful pictures to feature their products. I love the vintage vibe that their clothing all has. Such a cool hat from Eric Estrada Art, the design is called Back Country Camo. 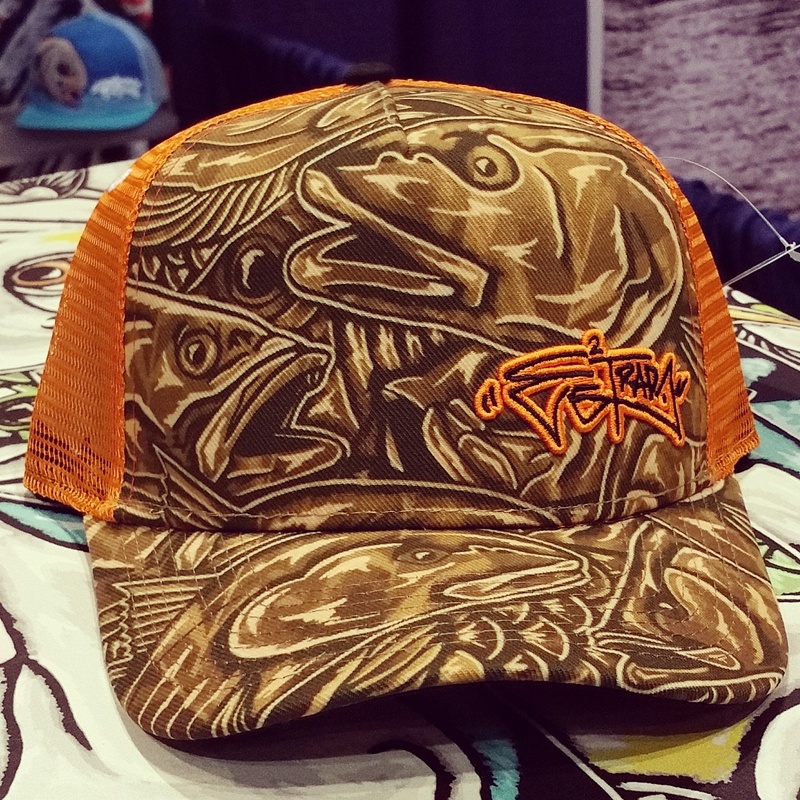 His awesome artwork is on everything from hats to SUPs!! 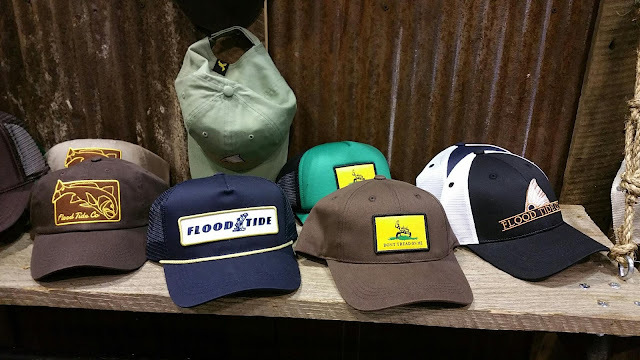 I'm a hat guy, if you haven't noticed already, these are my three favorites, in order, from RepYourWater. 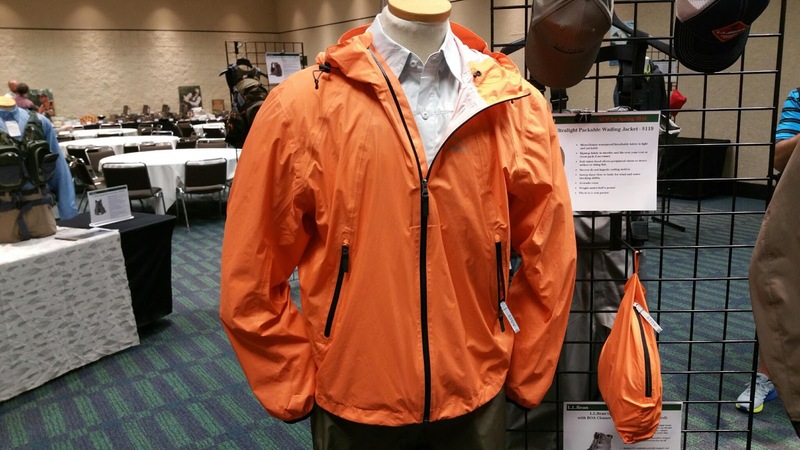 Bean's has some nice looking new clothes and packs coming out for 2016 like this Ultralight Packable Wading Jacket. 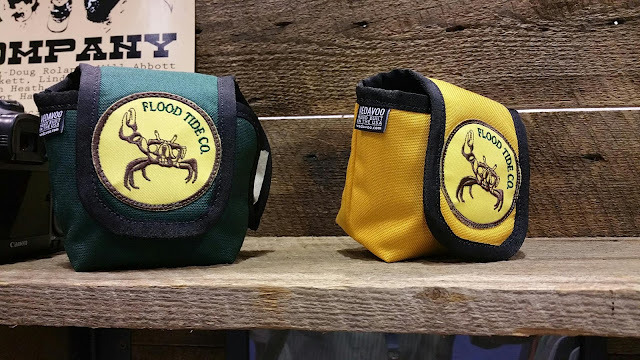 It packs down smaller than a Nalgene bottle, the perfect size to keep in a sling pack. Again with the hats! The vintage feel of this one is sharp!!! The L.L. 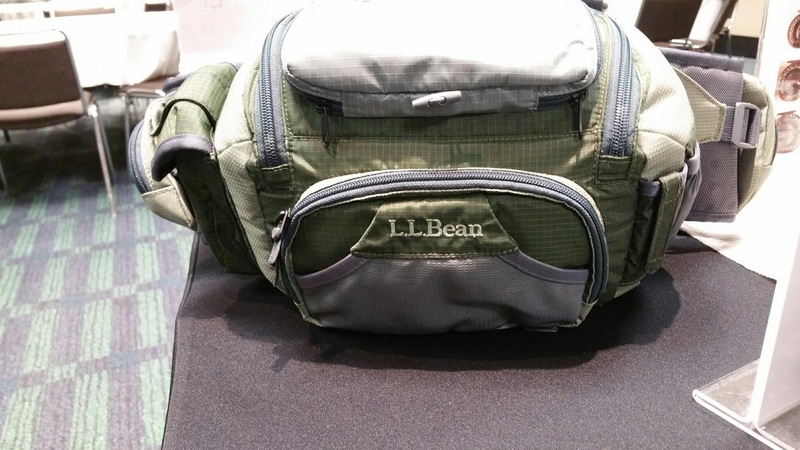 Bean Rapid River Lumbar Pack. 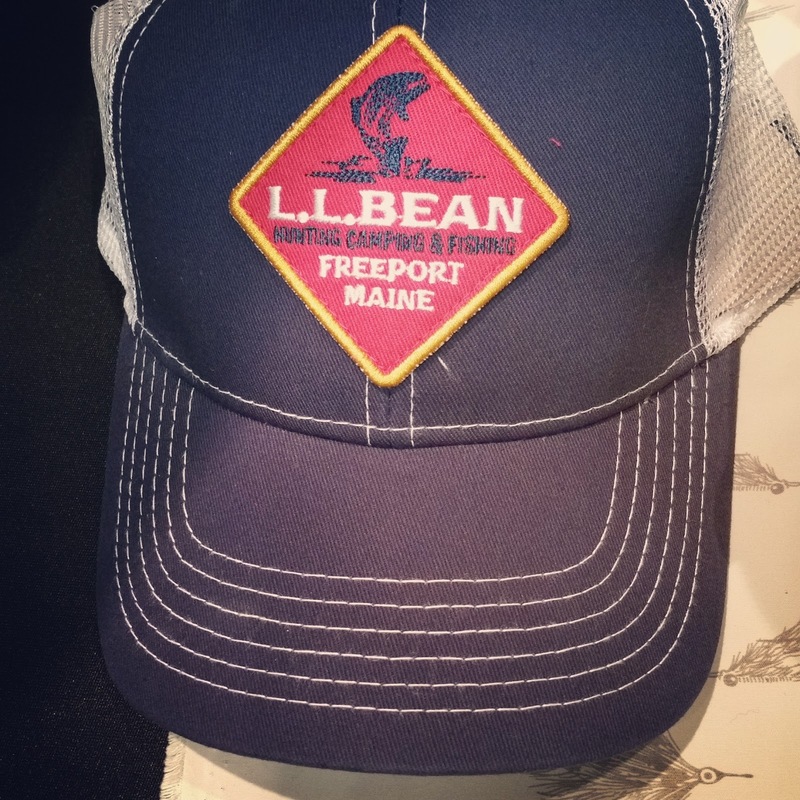 The folks in Freeport have worked hard to reduce snag points on their gear. The cover for the fly patch is simple, but genius! 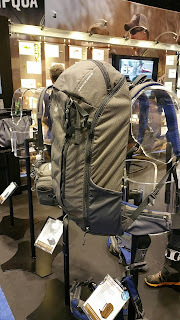 They also had a good looking vest pack and sling pack, both, also, under the Rapid River line. 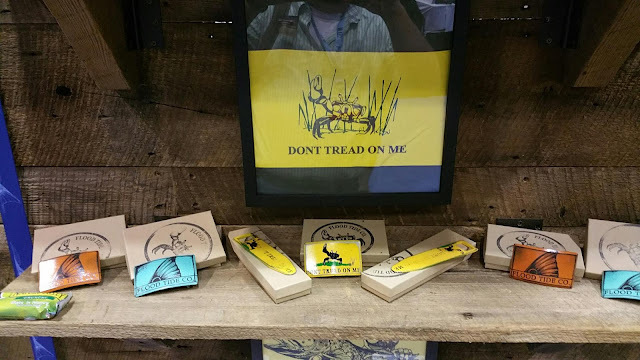 More than 25 stock designs, plus custom printing available. 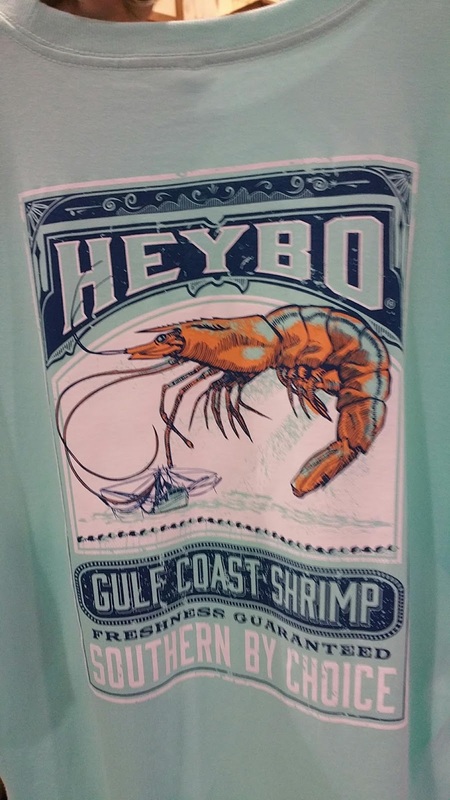 I picked out this one to try. 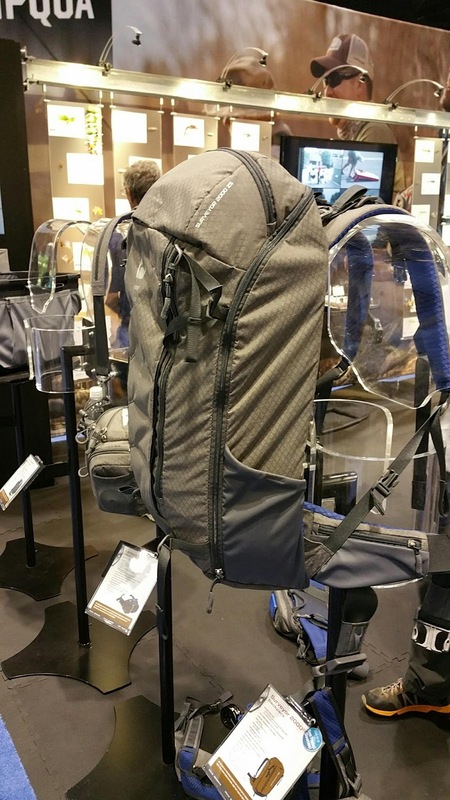 I'll let you know what I think after I've worn it a few times! 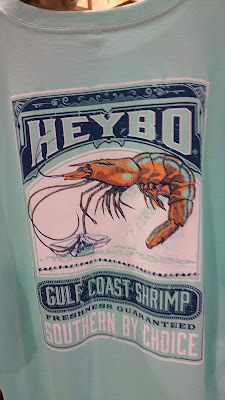 I've been an adopted Southerner for a long time now, and I lived for a while in the South Carolina Low Country where HeyBo Southern hails from. 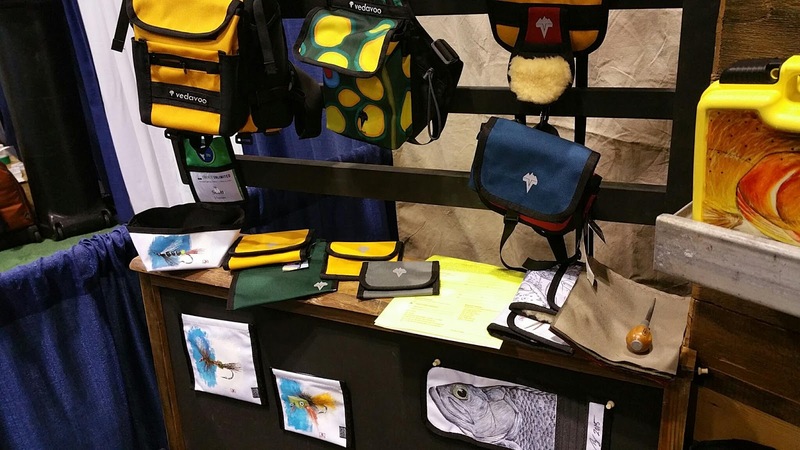 I really dig the southern salt water designs and having been called "Hey Bo!" 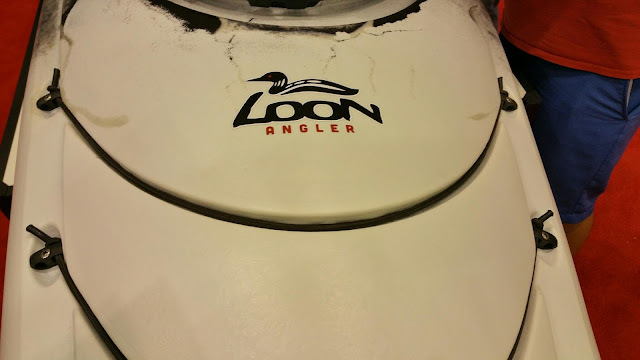 many times, I could relate to the name!!! 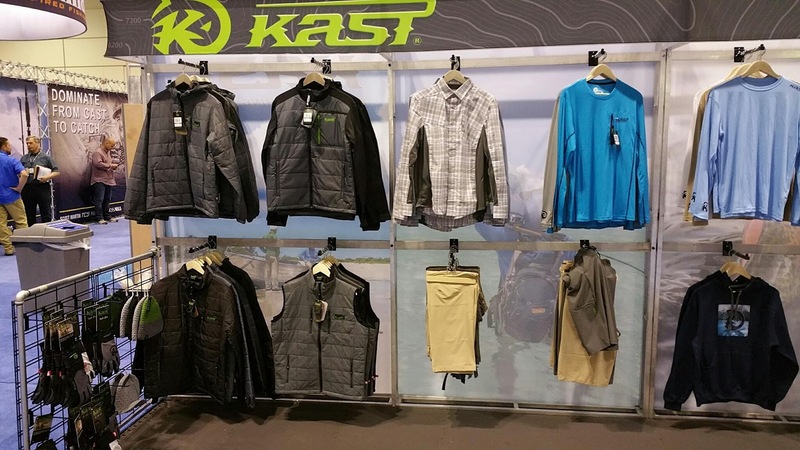 Some really nice technical clothing from Kast Extreme Fishing Gear. 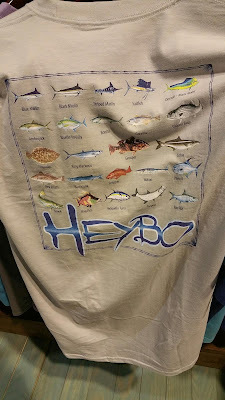 I really like their ventilated fishing shirts that don't look like everyone else's ventilated fishing shirts. 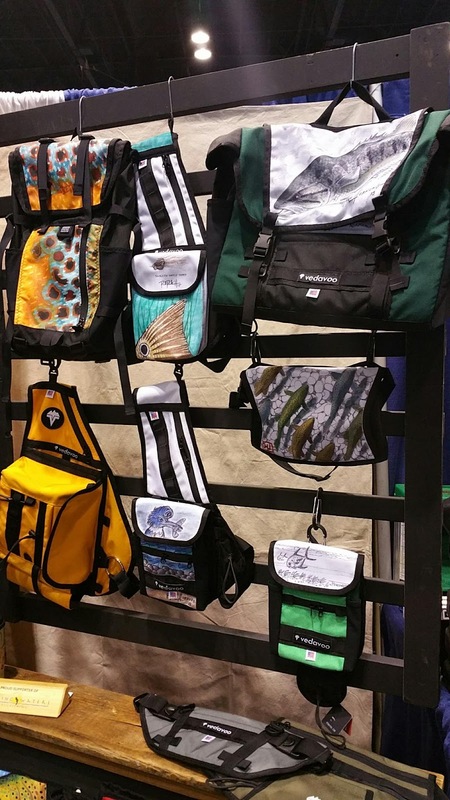 And the best part, they carry my size!!! 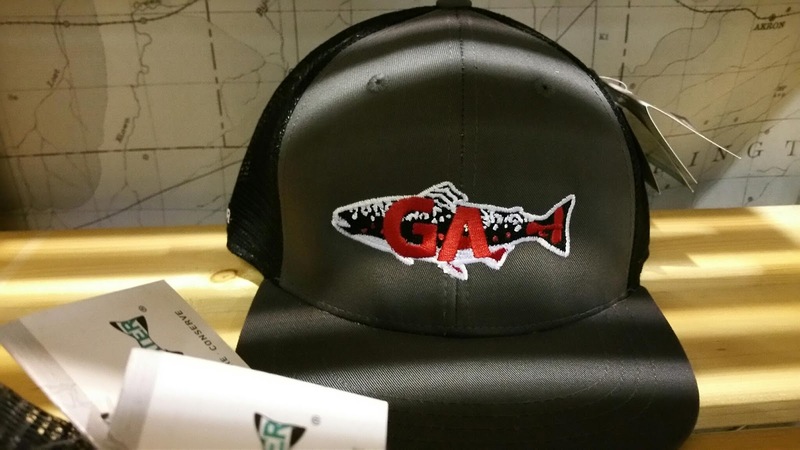 And they have some sweet hats! That brown one with the off centered trout patch is sharp! 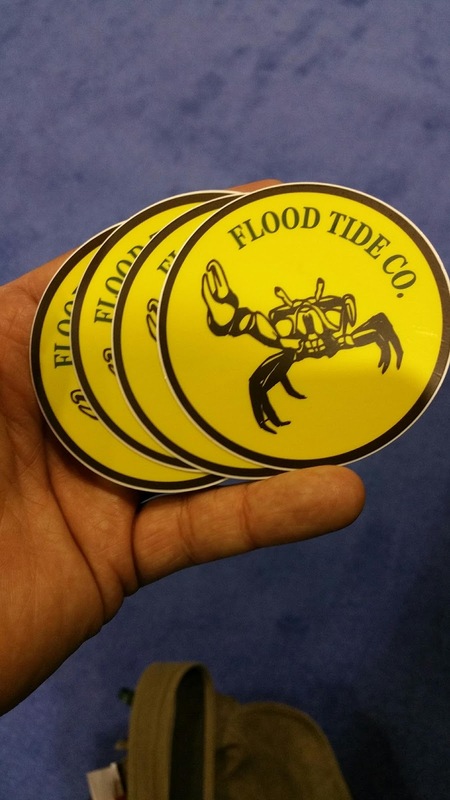 Flood Tide Co. has some of the coolest logos and artwork going! The Little Girl and I are both partial to the Fighting Fiddler! Some booths were so busy they were tough to get pictures in, even when being shown all the products by one of the top guys! 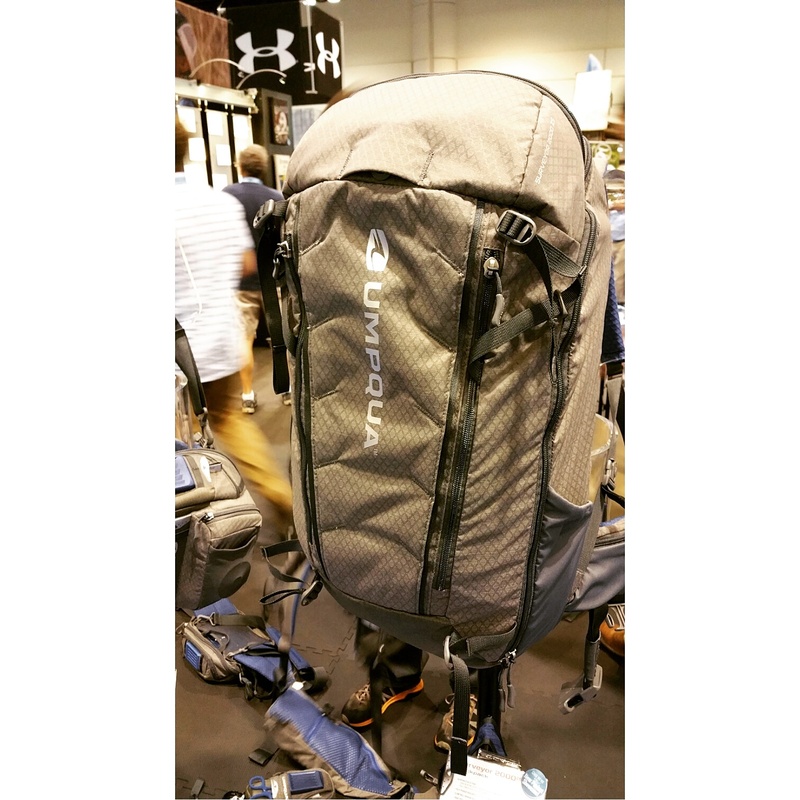 Umpqua has gone through doing redesigns and updates to all their packs. 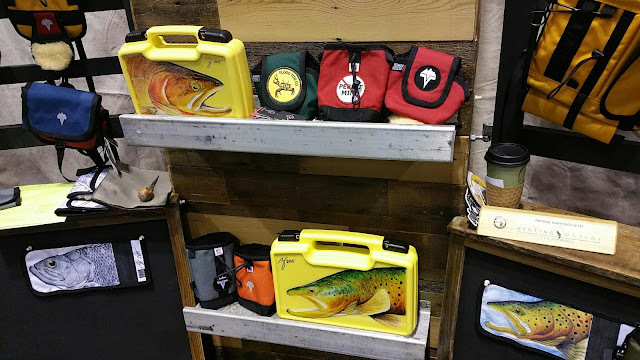 The Surveyor 2000 would be perfect for a quick overnight fly fishing trip in the mountains or a fantastic carry-on bag for my next long distance trip! 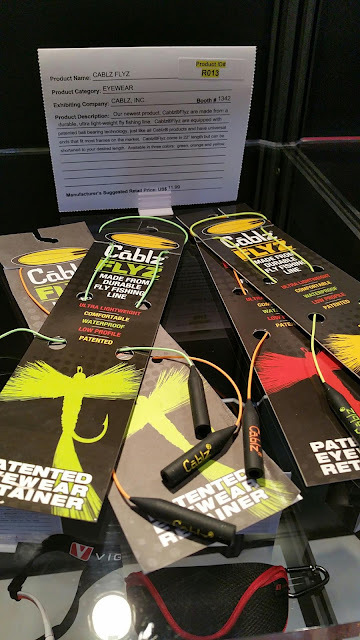 Cablz Eyewear Retention has come out with a new glasses retainer made from fly line. Nice and light and the length is easily adjustable.